The big slabs come from natural slate material, the mining of which takes place in Pelion. The thickness of the slab is approx. 3-4 cm. Its colours are in brown and green shades. 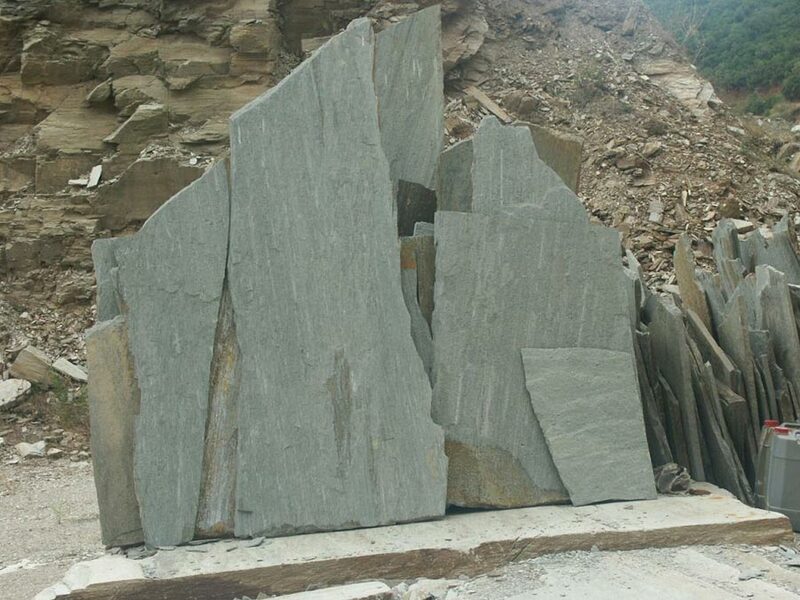 The big slabs can be used in various constructions like tables, benches, basins etc., and may be processed according to client’s specifications.